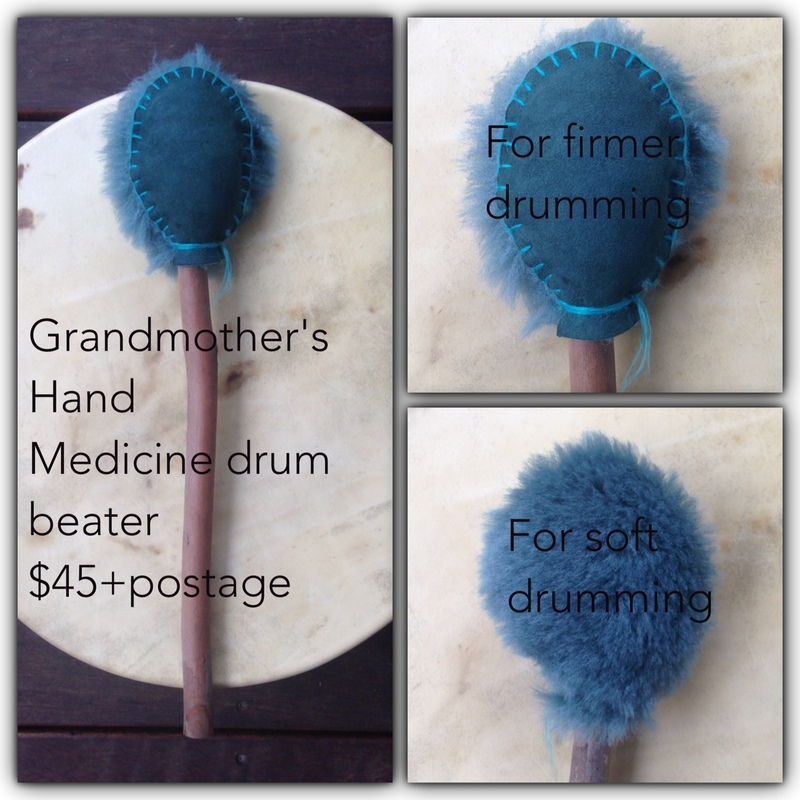 My drum beaters are created by hand, using formaldehyde-free sheepskin purchased from an Australian owned company. They are ideal & designed for use with medicine drums. One side is fluffy for quiet drumming, and the other side is bare for louder drumming. They tend to be 35-40cm in length as I find this length prevents my wrist from getting sore when drumming for long periods. They are made to order and come in natural, light brown, chocolate brown, teale, blue, dusty pink….and maybe a few other colours! I can generally manufacture them within 2 days of orders arriving (if I do not already have the time in stock). AU$45 plus postage ($10.15 within Oz) I am happy to send overseas but I am currently unsure of postage costs. I can let you know upon enquiry however.